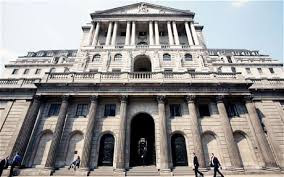 The Bank of England (BoE) has decided to drop the idea of launching its own digital currency, citing concerns about the possible instability and disruption such a venture might cause in the existing financial system. According to FTAdviser, the BoE confirmed that it has “no current plans” of launching a digital currency linked to the pound sterling. It was earlier reported that the United Kingdom’s central bank was considering launching its own crypto-sterling, to compete with the growing popularity of Bitcoin. Bitcoin is viewed with suspicion by governments and central banks worldwide, owing to its decentralized and unregulated nature. The BoE had set up a research committee in February 2015, tasked with undertaking a study on a possible virtual currency issued by the bank which would be tied to the GBP, and the impact it would have on the existing system. However, the BoE has now confirmed that while it plans to continue researching the subject of cryptocurrencies, a crypto-sterling is not on the cards.